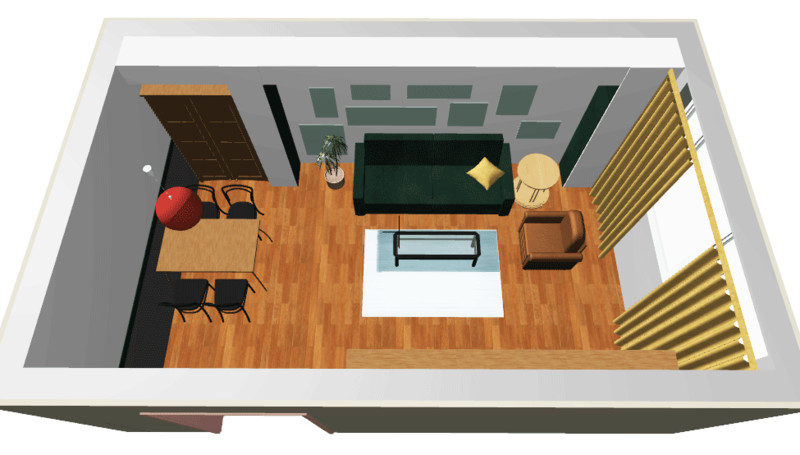 Our studio has started work on a new design project – a two-bedroom apartment on Novy Arbat in Moscow, located in one of the famous “skyscrapers”. 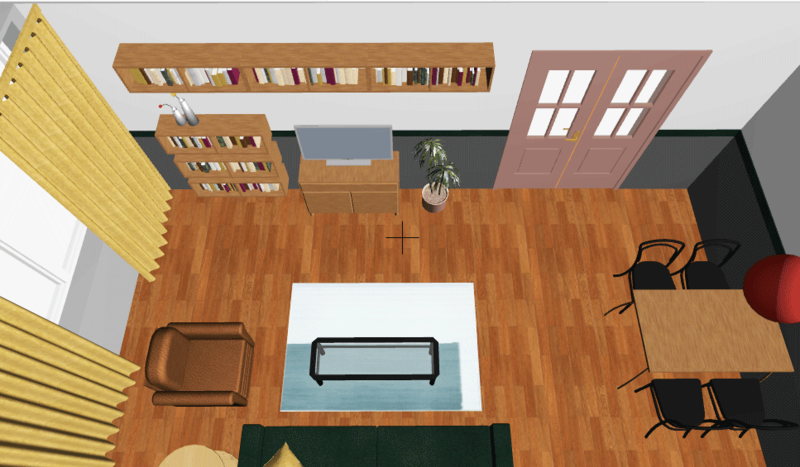 In this article we will show you what are the first steps of making an interior design project. 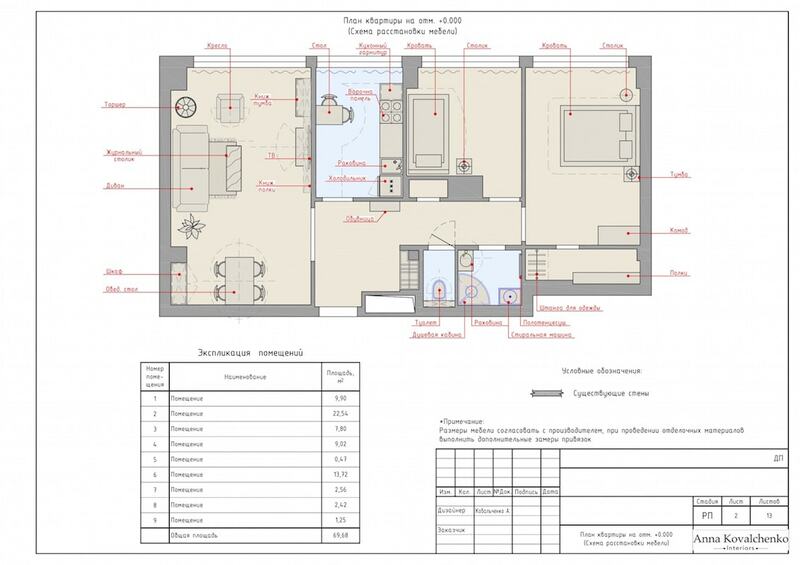 After the first meeting with the client, we have done detailed measurements of the premises and have drawn our first technical drawing. 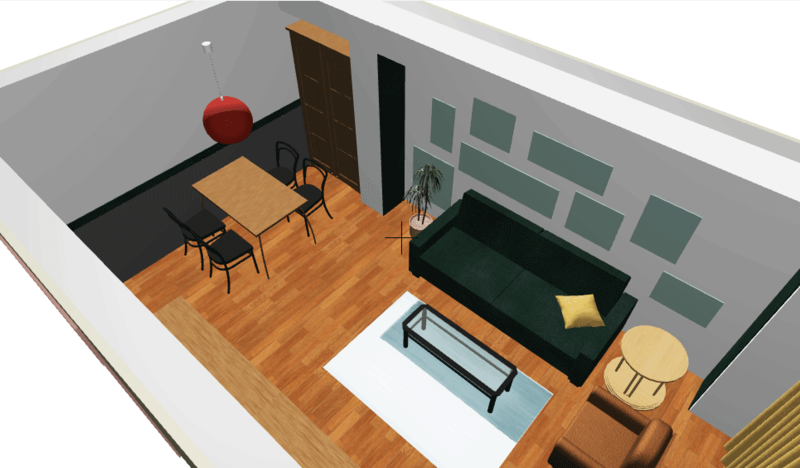 At the same time we work on the concept – a stylistic and color solution for the interior. 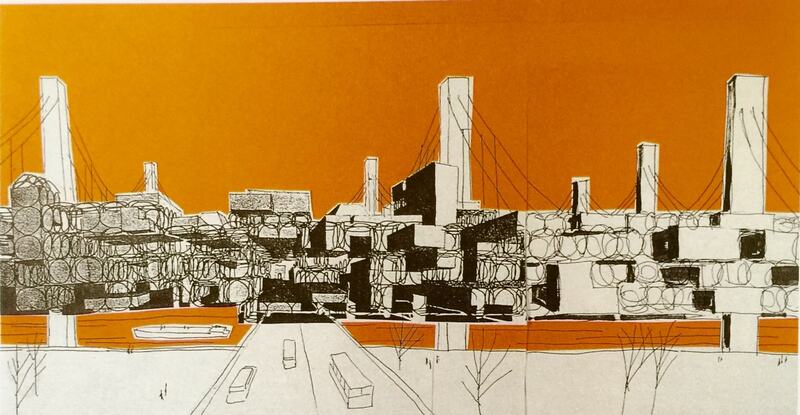 In this project, it was inspired by the architecture of the 1960s and 1970s, in particular the well-known concept of the Space City, designed by the architect Yona Friedman in 1960, as well as the ideas of postmodernism and Memphis with its bold combinations of various textures, colors and materials. 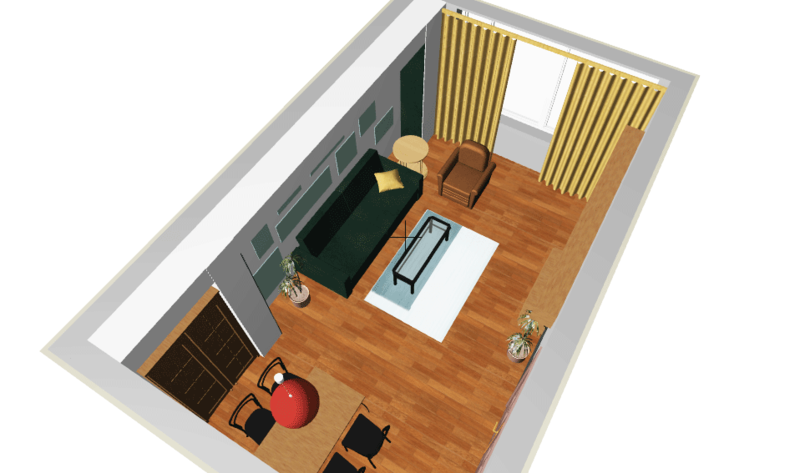 The collage below illustrates the idea of ​​decorating the living room – the walls are painted to the middle in gray color – with a bright border of green and yellow that visually “ties” the color palette with furniture and textiles – an emerald-colored sofa and yellow curtains. Such painting technique visually “stretches” the walls and the low ceiling will seem higher. As a wall decoration on the accent wall we used painted in blue color rectangles, reminding the gallery of paintings. The doors to the living room are painted in a soft pink color that complements and harmonizes with the emerald-colored sofa. 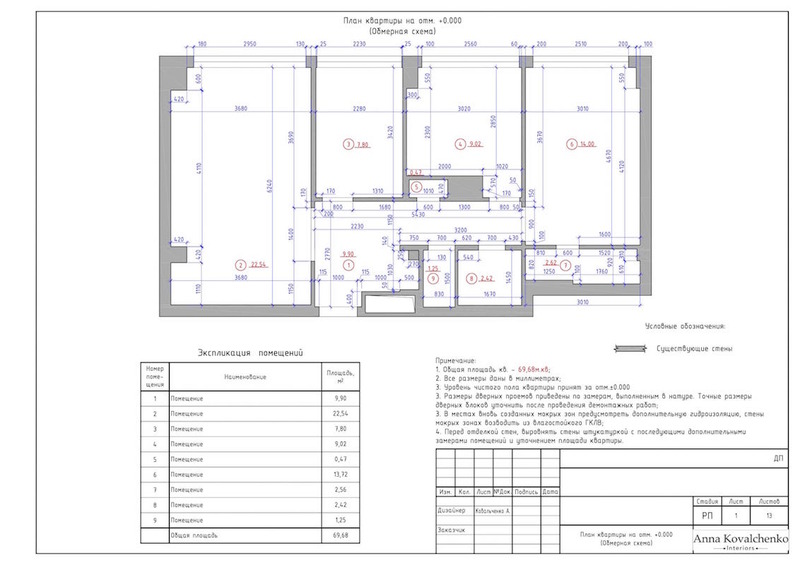 Please note that depending on the location of our projects, we produce technical drawings in Russian, English or Spanish. Follow our news and we will update you with further steps of work on this project.